At such a time in history when calamity, terror and crises seem to lay a siege on the world, God expects His children to stand out and seek His face in all sincerity and truth. From the depth of our hearts, in our solitude and when we gather as soldiers of the cross, now more than ever is the time to send this prayer up to the God of all flesh – the prayer for the outpouring of the Spirit of God. 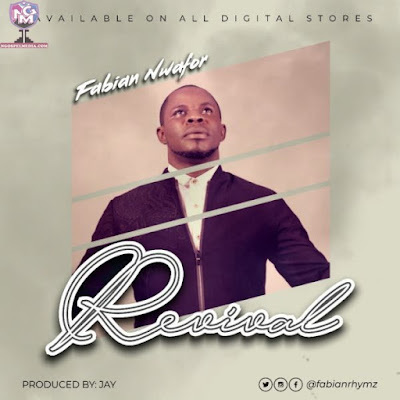 Having blessed us in the past with great numbers like My King, Oba, Holy Ghost Alert, My Woman (Wedding Song), Fabian Nwafor this time presents to us Revival – a passionate plea for the release of the wind of restoration in our lives, in the church and in the world. Revival can be the next chorus resonating among all who call on the name of God, provoking His Spirit to rain on us like fresh dew. Revival was produced by Jay. Just like the day of Pentecost, we wait in the inner court. Holy Spirit move again upon the earth. When darkness comes, You send Your light. When persecution comes, You send us help. When temptation comes, You make a way.